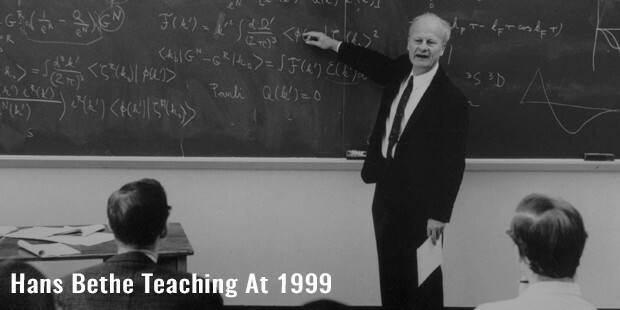 Hans Bethe was an esteemed German & American Nobel Prize winner nuclear physicist who is renowned for significant contributions in solid-state physics, astrophysics, quantum electrodynamics and of course stellar nucleosynthesis. 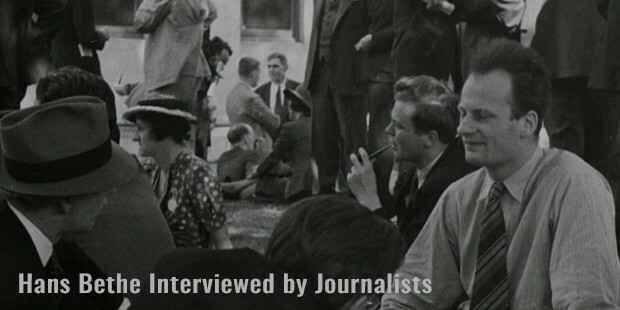 Hans Albrecht Bethe was born on 2nd July, 1906 in Strasbourg, Germany to Albrecht & Anna Bethe. 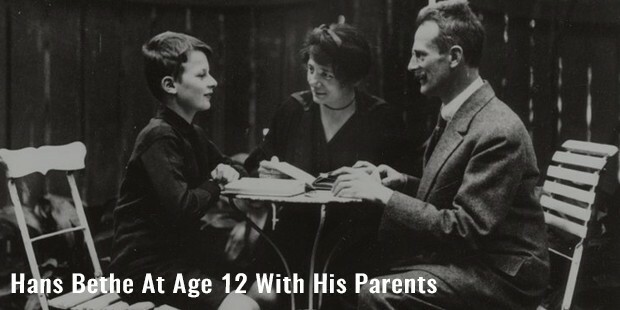 He had his early schooling from Goethe-Gymnasium & after passing abitur in 1924, joined University of Frankfurt – but shifted to Munich University in 1926 where he studied physics under Arnold Sommerfeld. In 1929, Bethe joined Stuggart-based Technische Hochschule where he wrote the greatest of all his papers “Zur Theorie des Durchgangs schneller Korpuskularstrahlen durch Materie” that gave birth to Bethe formula. After attaining Rockefeller Foundation Travelling Scholarship the same year, he moved to University of Cambridge to work at Cavendish Laboratory under Ralph Fowler. There he came up with relativistic mode of Bethe formula. 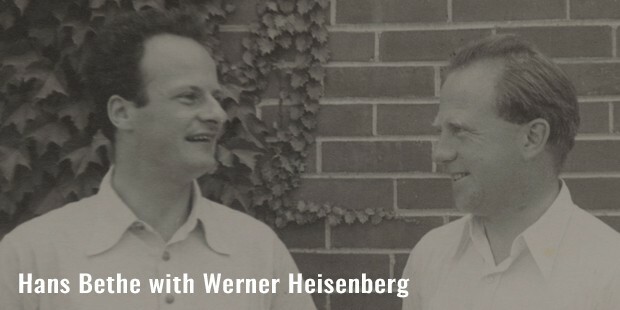 Then, he moved to Italy in 1931 to work at Enrico Fermi’s lab- where he developed Bethe ansatz. He got back to Italy again the next year and in the meantime he worked on several projects with Sommerfeld & Fermi. In 1932, Bethe joined Tubingen University as assistant professor but after he was dismissed given Jewish backdrop, he received fellowship from Sommerfeld at Munich. The next year, Bethe joined Manchester University and in 1935 he was appointed at Cornell University as assistant professor. He also received several requests to visit eminent universities like Columbia University, Princeton University, Rochester University, Purdue University, University of Illinois & Harvard University by eminent physicists like Edward Condon, Karl Lark-Horovitz, Francis Wheeler Loomis etc. 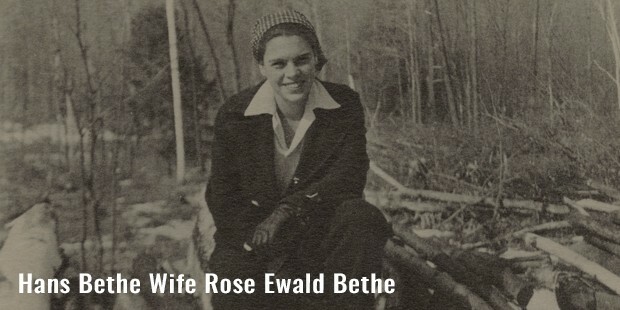 Bethe stayed at Cornell University for a fair share of his career and together with Livingstone & Bacher published “Bethe’s Bible”. During 2nd World War, Bethe headed Theoretical Division of secret Los Alamos lab that developed first ever atomic bombs. He had a pivotal role in developing implosion method theory deployed in Trinity test & “Fat Man”. In 1941, the great physicist invented Bethe-hole directional coupler at MIT Radiation Laboratory. Post the war, Bethe worked for the development of hydrogen bomb & later on campaigned against nuclear arms race & nuclear testing with Einstein. He was also the one who made Kennedy sign Partial Nuclear Test Ban Treaty in 1963 & Nixon sign Anti-Ballistic Missile Treaty in 1972. One of the major highlights of Bethe’s career was surely the reception of the prestigious Nobel Prize in Physics for his contributions in stellar nucleosynthesis theory. He got married to Rose Ewald in 1939 & together they had 2 children- Henry & Monica. In his last days, Bethe was Cornell University’s Physics Emeritus John Wendell Anderson Emeritus Professor. The great scientist breathed his last on 6th March, 2005 in Ithaca. 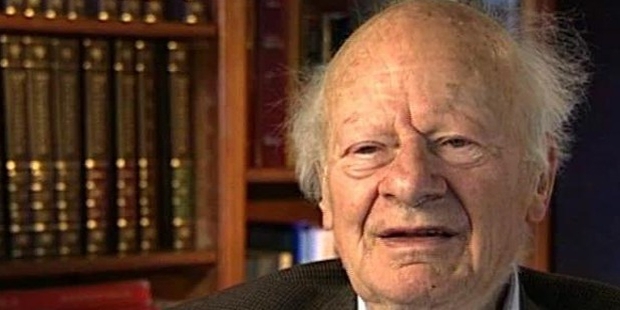 Bethe continued with his scientific papers till his last days and he one among those handful to have at least 1 major published paper during each decade in his entire career. One of his famous students, Freeman Dyson, called him “supreme problem-solver of 20th Century”. Bethe has been honoured with several prestigious awards like Henry Draper Medal, ForMemRS, Franklin Medal, Rumford Prize, Oersted Medal, Bruce Medal, Benjamin Franklin Medal & many more added to the Nobel Prize.